in order to plunder: goods, animals and slaves. This is our classic understanding of a viking raid which we derive from the attacks in the late eighth and early ninth century, at the beginning of the Viking Age, when Scandinavians appeared off the coasts of Britain and Ireland to sack for example Lindisfarne in 793, and Iona in 794, 802, 806 and 825. And 400 years years later, in 1209-10, the Norwegians supposedly still went a-viking (fóru í víking) to Iona. But we should beware of believing first impressions and easy explanations. 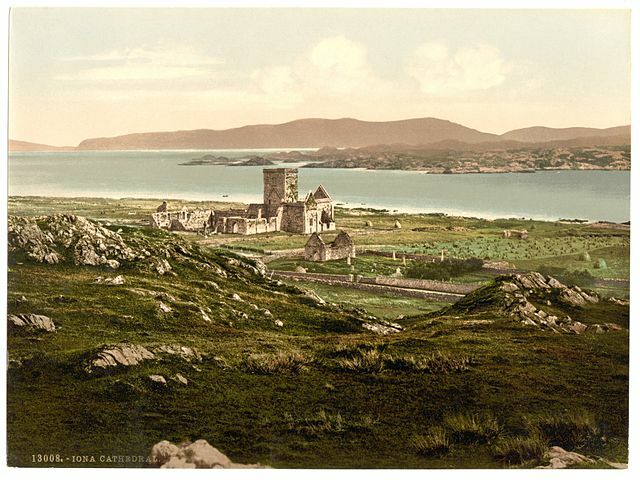 A closer look at what happened in and around Iona in the early 1200s, makes the interpretation that this was just another such ‘classic viking raid’ rather unlikely. We might also have to ask again what exactly a ‘classic viking raid’ was. And lastly, all of this makes us understand better what the Scandinavians did here for the better part of 500 years – also in the Hebrides they did not limit themselves to making surprise attacks for nearly half a millennium!